Hello my peeps!! I'm doing another free form review this time!!! And on this occasion I'm going to tackle The Bookstore by Deborah Meyler. 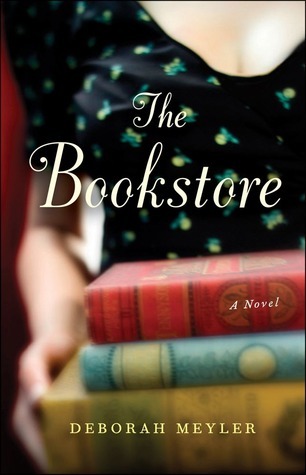 The Bookstore follows the life graduate student Esme Garland, who moved to New York to get her masters studying the artwork of a very obscure painter. In New York, she's pretty happy, she has fallen in love with the city, she likes her apartment and her neighbors; she even has a handsome and rich slightly older boyfriend Mitchell. Everything seems to be going perfect... until the day she realizes she's pregnant, and then gets dumped by Mitchell, before she can even really tell him. Esme then turns to her refuge and favorite place in the city: a shabby, second hand bookstore called The Owl, where she lands a part-time job to help her make end's meet. Okay, so I started this book with a lot of hope, I liked the idea of a book set in and around a bookstore and The Owl sounded like a delightful indie bookstore at that. But I had a lot of trouble getting into it - and I'm not sure I ever did - because Esme's voice is so full of apathy and she makes it sound like one thing is just as good as the next, and like, things just happen to her. This made it very hard for me to like her or like her voice, and I got this weird feeling of dread each time I was reading it, like something was dragging me down. It had that sort of mood, even at the beginning when Esme was saying how much she liked living in New York, I never really felt like she was happy. Individually, I liked plenty of characters, mostly the people who worked at the Owl, but the book and story just never came alive for me. Maybe someone who likes slower paces and is more inclined toward woman's fiction would enjoy it more. If you're looking for something light and fluffy, this aint't it. Thanks to the Publisher and Edelweiss for the review copy.